<p style="margin-top: 0; margin-bottom: 7px;"><span style="color: #045394; margin-bottom: 7px;"><img src="http://images.wisbar.org/Images/DigestEmails/Me_AlsoMe_2V.jpg" alt="" width="230" height="314" align="right"/></span>Personal development is well… personal. No matter what improvement you want to make, it’s about YOU. But who has time for themselves anymore? Is taking time to learn just another added pressure? Or is it actually beneficial? 87% of personal learners say their activities helped them feel more capable and well rounded. </li><li>69% say their learning opened up new perspectives about their lives. </li><li>64% say their learning helped them make new friends. </li><li>58% say it made them feel more connected to their local community. <p style="margin-top: 0; margin-bottom: 7px;">The good news is there are websites and apps that can make it easier to improve yourself 24/7. Check out these popular options and start your personal development journey today. </p><p style="margin-top: 0; margin-bottom: 7px;"><a href="http://www.startofhappiness.com/personal-development-blogs/">Top 100 Personal Development Blogs 2017</a> </p><p style="margin-top: 0; margin-bottom: 7px;"><a href="http://www.bestcollegereviews.org/50-top-online-learning-sites/">50 Top Online Learning Sites</a> </p><p style="margin-top: 0; margin-bottom: 7px;">Remember – it’s never too late to become the person you are capable of being. What difference can one person make in our divided world? Plenty! Hear the inspiring story of a man who left the difficult neighborhood of his youth to become a Rhodes Scholar, White House Fellow, and army veteran. You’ll leave with a new outlook on life and lots of motivation to tackle today’s problems. Tight deadlines, challenging cases, and difficult clients can all contribute to high levels of stress in the legal profession. Learn how mindfulness can help you handle the stressors in your life, and take part in a brief meditation session you can do in your office. <p style="margin-top: 0; margin-bottom: 7px;">Once you find items that interest you, add them to your Marketplace <strong>Wishlist</strong> using the button on every product page. It's an easy way to keep track of products you’re thinking of buying. 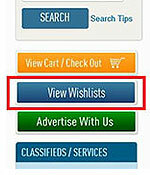 You can even create multiple lists and access them by clicking the View Wishlists button on the right side of the page. <p style="margin-top: 0; margin-bottom: 7px;">As some of you pointed out to us after receiving last week’s Bar Briefs, we had a bit of an apostrophe crisis. As in, there weren’t any. Zero. Zilch. Nada. Not a single apostrophe to be found.</p><p style="margin-top: 0; margin-bottom: 7px;">The realization that you have sent something out with a mistake like that to thousands of well-educated people comes with a special kind of horror. That “reply all when you didn’t mean to” kind of horror that makes you immediately start pouring over your steps to figure out what went wrong. Why did they disappear? When did they disappear? Why didn’t we catch that they had disappeared? 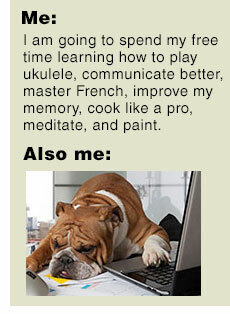 Why, oh, why did we have to use so many contractions in that issue? </p><p style="margin-top: 0; margin-bottom: 7px;">Well, we found what went wrong. However, learning what went wrong was only the first step. We needed to figure out a way to keep it from happening again. 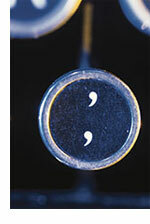 We think we have, but we are counting on you to call us out if you see another sans-apostrophes issue in future. <p style="margin-top: 0; margin-bottom: 10px;"><img src="http://images.wisbar.org/Images/DigestEmails/Cann_Leaf_125w.jpg" alt="" width="103" height="108" align="right"/>The legal landscape for marijuana possession and use, both for medicinal and recreational purposes, is changing across the country and in Wisconsin. On Monday, Gov. Scott Walker signed a bill allowing physicians and pharmacies to dispense CBD oil, a cannabis compound, for prescription use. With federal and state laws that concern cannabis products varying significantly, the application of these and intersecting laws is a bit hazy. <p style="margin-top: 0; margin-bottom: 10px;"><img src="file://///net.wisbar.org/shares/imageLibrary/Images/DigestEmails/LOV_grey_150w.jpg" alt="" width="127" height="103" align="right"/>You never get a second chance to make a first impression, and a client’s first impression of you and your practice is often shaped by your office staff. Ensure your staff are representing your office in a positive, professional manner with staff training from <a href="http://marketplace.wisbar.org/ClientEducationStaffTraining/Pages/default.aspx">Law Office Videos</a>. </p><p style="margin-top: 0; margin-bottom: 10px;">Created by lawyers for lawyers, Law Office Videos provide realistic, easy-to-understand training to help you prepare your staff to effectively handle the day-to-day business of the practice – from customer service to confidentiality to communication. <p style="margin-top: 0; margin-bottom: 10px;">Your office personnel are your ambassadors and are a big part of how your practice gets new clients and keeps existing ones. Equip your staff to help your practice grow, and provide a comfortable atmosphere for your clients with training from Law Office Videos.